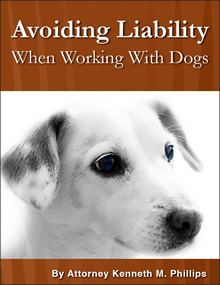 It is important that you understand the limitations of any of Attorney Kenneth Phillips' books, articles, documents, social media posts, videos, summaries of case results, and materials sold at the Dog Bite Law Bookstore (all of which are collectively referred to herein as "MATERIALS"), and the limitations of this website. 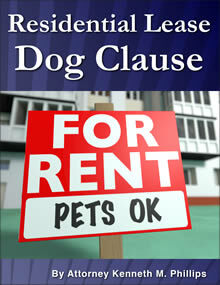 While Attorney Kenneth Phillips strives to make the information in this website and the MATERIALS as timely and accurate as possible, he makes no claims, promises, or guarantees about the accuracy, completeness, or adequacy of the contents of this site and the MATERIALS, and expressly disclaims liability for errors and omissions in the contents of this website and the MATERIALS. 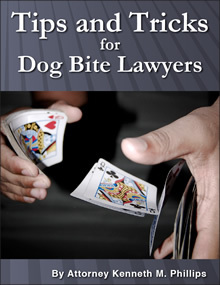 In this website and the MATERIALS, Attorney Kenneth Phillips provides general information about dog bites and dog bite law. This website and the MATERIALS are for informational purposes only. They are not legal advice and should not be used as such. This website and the MATERIALS are not intended to cover all the issues related to any topic discussed. 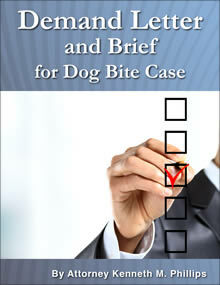 In legal matters, a single fact can change the legal analysis and the outcome. 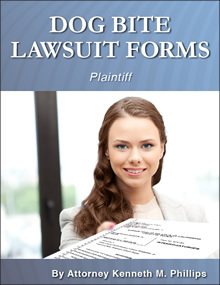 If your circumstances suggest to you that you might have a case or might have liability, and you wish to know for sure, you must retain an attorney rather than rely on this or any other web site, or on the MATERIALS, or on an exchange of email with Mr. Phillips or any other attorney. Case results depend upon a variety of factors unique to each case. 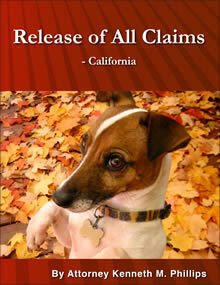 Case results do not guarantee or predict a similar result or a quick payment. Nothing in this website or the MATERIALS constitutes a guarantee, warranty, or prediction regarding the outcome of your legal matter or potential legal matter. No warranty of any kind, implied, expressed, or statutory, including but not limited to the warranties of non-infringement of third party rights, title, merchantability, fitness for a particular purpose or freedom from computer virus, is given with respect to this website, the MATERIALS, or links to other Internet resources. Reference in this website or the MATERIALS to any other website, expert, specific commercial product, process, or service, or the use of any trade, firm or corporation name is for the information and convenience of the public, and does not constitute endorsement, recommendation, or favoring by Attorney Kenneth Phillips. Transmission of the information in this website or the MATERIALS, or directly to you by email, is not a soliciation of your business. Similarly, nothing in this website or the MATERIALS, or in email from Mr. Phillips, is intended to create, and receipt does not constitute, an attorney-client relationship. 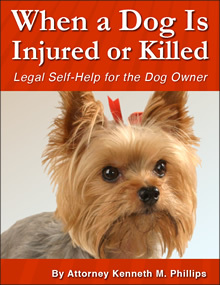 Do not act upon information in this website without seeking professional legal counsel. 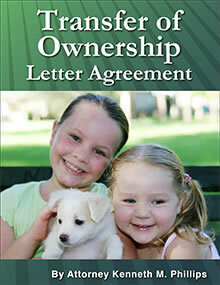 Please do not send any confidential information to us until such time as an attorney-client relationship has been established by a written Attorney Retainer Agreement signed by both you and Attorney Kenneth Phillips. 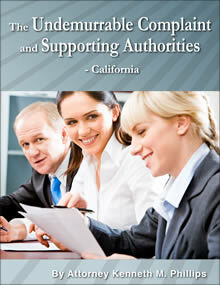 Finally, this web site and the MATERIALS are based on state law in the United States. Unless you are researching the law applicable to incidents in one of the USA states, you should consult with an attorney familiar with the issues and the laws of your country.